Maybe some day I'm revive this. My Homeboys from Petshop of Horrors! This site is owned by Katiria. 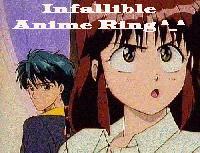 Want to join the The Infallible Anime Ring ^_^? -------------------------end fragment--------------------- Happy NOW, Geocities? I'm adding this "text". Leave this page alone.